so it's time to use lots of paper and/or embellishments, us crafters always have plenty of these don't we ;-) Or maybe some decoupage...? The choice is yours. 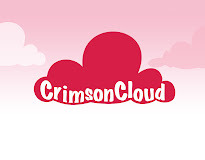 We are sponsored this week by the fab online shop Crimson Cloud who are giving one very lucky winner three packs of die cuts of their choice! Now it's time to show you how the Design Team interpreted my theme. I think you'll agree they have done a wonderful job. Thank you for the fab DT inspiration and great challenge - I have layers and decoupage - I love decoupage. Thanks for the fun challenge! Gorgeous inspiration from the DT! Lovely DT cards! Thank you for the inspiration! Great samples from the DT, lovely challenge thanks. Love this challenge!! Great inspirations from DT. New to your blog & challenge and WOW your DT is amazing!! Thanks for an interesting challenge. GREAT challenge. I love layers. Wow...over 200 submissions for this challenge! I guess people like to "layer it up". Thanks for the challenge! All the cards are so stunning. So beautiful designs. I want to try to design like these cards for the Plastic cards, if you don't mind. I really appreciate this. Fabulous creations by the Design team!